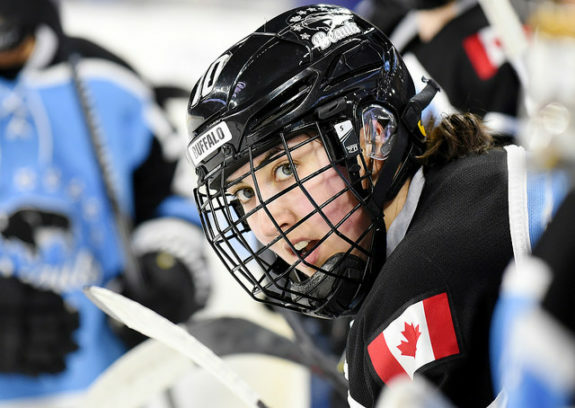 Midway through June the Buffalo Beauts have re-signed five more players that will be key in defending the Isobel Cup. The signings of Amanda Leveille, Sarah Casorso, Kayla Parsons, Hayley Scamurra and Jordyn Burns are proof that Beauts’ co-coach and general manager Ric Seiling recognizes the need to keep the bulk of this past year’s nucleus intact. These particular signings solidify Buffalo’s strength in their own end. Let’s break the signings down from the net outward. 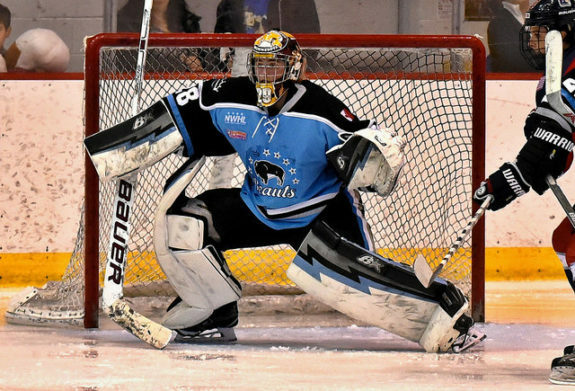 Leveille was credited with four of Buffalo’s six wins last season and was the only Beauts netminder to post a winning record. She is also part of two-thirds of the “McLevman” trio (along with Kelsey Neumann) to return to the team. In nine games this past season Leveille went 4-2-0 while stopping 250 of the 281 shots she faced. Although her goals-against average was relatively high at 4.34, it does not paint an accurate picture. Leveille stopped a nice number of shots and finished the regular season out with a .890 save percentage. Where Leveille made the most dramatic difference was during Buffalo’s opening round playoff victory against the Riveters. In the 4-2 win, Leveille was phenomenal. She stopped 34 of 36 shots and put forth an enormous .944 save percentage. Without her heroics between the pipes, the Beauts likely would not have made it into the Final. With Leveille and Neumann in net for 2017-18, the Beauts have one heck of a tandem. It is boosted even further by the duo’s camaraderie and support of one another. Burns, Casorso and Parsons are the first defenders to re-up with Buffalo this offseason. Again, it is reassuring to see some consistency in the Beauts backend. All three defenders are accustomed to having worked in front of Leveille and Neumann previously. They also did so quite effectively. Look for Burns and Parsons to each play larger roles in the upcoming season. Burns picked up two assists in 15 games with the squad, while Parsons went pointless in 10 of her own. Though neither defender put much on net (three shots and one shot respectively) they both blocked a decent amount of shots. Burns helped steer aside nine pucks, while Parsons stepped in front of five. One final note on the three defenders is that each is at least 5’7″ and strongly built. Opposing forwards will have difficulty getting by any of them. One of the more exciting facets of the Beauts of season three will be seeing what further offense Scamurra is going to orchestrate for the team. Joining the team at the tail end of last season, Scamurra seemed to be scoring left and right. The 5’8″ Northeastern graduate scored her first NWHL goal in her first and only regular season game. Accompanying the Beauts on their Cup run, Scamurra picked up a goal and three assists in both Beauts playoff games. Like Leveille, the play of the rangy forward was essential in Buffalo’s eventual victory. Shades of things to come. Scamurra has incredible reach, smooth skating, and is quite elusive for a taller player. There is no doubt that she will continue to score for Buffalo. The question is rather, “How MUCH more?” Rest assured, Beauts fans will not have to wait long to find out, and will not be disappointed either.